If Porcelain Dolls are Fragile, Why are Porcelain Restorations Durable? Before you get started with a cosmetic or restorative dentistry plan that includes dental porcelain, you may be thinking, “Isn’t porcelain fragile?” The answer is, “Yes and no.” While a porcelain doll or a porcelain glass may be fragile, a porcelain knife is strong and so are porcelain restorations. The key is using the highest grade porcelain and cementing it into position properly, so the underlying tooth structures provide support and strength. 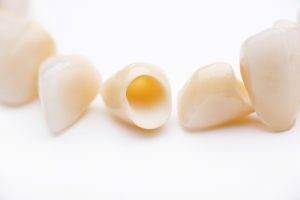 In fact, porcelain veneers, crowns, bridges, and other restorations are just as strong if not stronger than your healthy tooth enamel, and they can be shaded to perfectly match these natural structures. Comments Off on If Porcelain Dolls are Fragile, Why are Porcelain Restorations Durable?